General Plan was last updated in 2011 to guide the city through 2030. It includes elements on climate change management, open space, water conservation, and improved transport efficiency. The City adopted a Climate Action Plan (CAP) with a goal of reducing greenhouse gas emissions by 15% by 2020. The City is exploring Community Choice Aggregation, whereby the City and its residents would procure electricity with at least a 50% renewables portfolio. The City has installed photovoltaic panels on City buildings to reduce greenhouse gas emissions, save money on energy costs, and reduce stress on the utility grid. The projected energy production is 330 kW. Using an Energy Efficiency Conservation Block Grant (EECBG), the City retrofitted lighting in all city hall buildings and installed streetlights with LED technology on major roadways in San Pablo. Using funding from the EPA’s Small Cities Climate Action Partnership Grant, the City is weatherizing all city hall buildings. The City partnered with Smart Lights in 2011 to provide free light audits and rebates up to $2000 for retrofitting businesses. 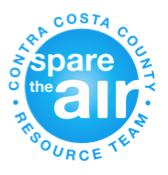 Under programs offered by Contra Costa County and PG&E, San Pablo is offering free home weatherization rebates to low and fixed income residents. Residents are encouraged to request energy and water conservation audits by California Youth Energy Services Program. San Pablo promotes Waste Reduction and Recycling through its membership of RecycleMore, a West Contra Costa County Integrated Waste Management Authority. San Pablo started food composting in collaboration with Richmond and El Cerrito. Free food scrap composting bins are available to San Pablo residents at City Hall. San Pablo offers free fats, oil and grease disposal to residents. The Hazardous Waste Facility collects materials for free from residents and for a small fee from businesses. Mobile service is available for seniors and people with disabilities. San Pablo offers free curbside collection of used motor oil and filters. The City adopted a single-use carryout bag reduction ordinance. See also our Plastic Bag Fact Sheet. The City accepts unwanted/expired medication at the police station. The City partners with East Bay Municipal Utility District to provide residents with water audits and rebates for water-efficiency improvements. San Pablo City Council adopted the 7 Principles of Bay Friendly Landscaping and city median islands are being replaced with landscaping to reduce water consumption. San Pablo has hosted workshops on Bay Friendly Landscaping to improve water conservation. The City has adopted an integrated pest management policy to reduce the use of toxics that pollute waterways. Adopted a Growth Management Element in their General Plan that promotes efficient use of transportation within the City and County. This will provide access to Local Transportation Maintenance and Improvement Funds. Has begun a Transportation Demand Management program to make transportation more efficient and save on infrastructure upgrades. The City is exploring options for a Commuter Benefit Program for its employees, to reduce the number of single-occupancy vehicle trips. The City holds numerous events during May for Bike Month, including an employee workshop in advance of Bike to Work Day to prepare interested employees for biking to work or other locations, a community-wide Bike Bonanza event to promote safe biking, and an energizer station on Bike to Work Day. Passed legislation outlining specific tree planting practices and irrigation methods. San Pablo SPAWNERS work to clean up the San Pablo creeks and meets weekly while hosting special event days.